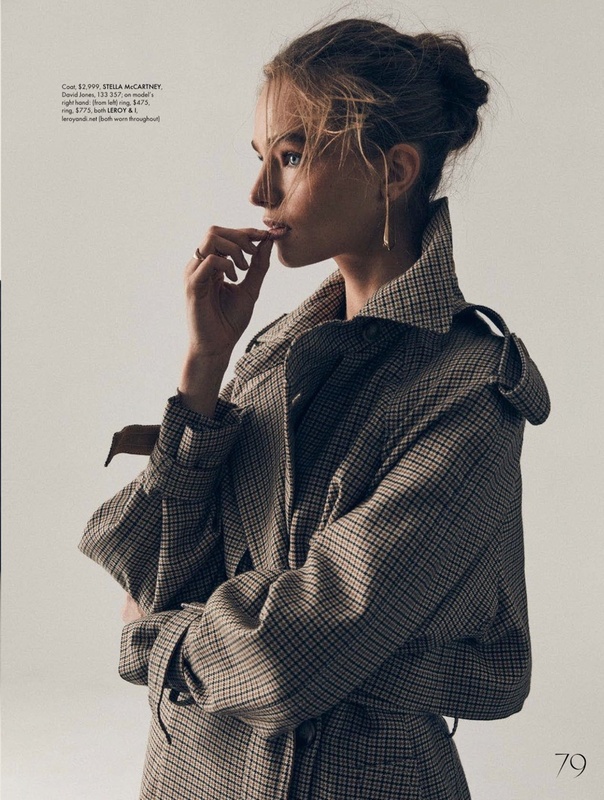 Anna Mila Guyenz takes on mannish styles for an editorial featured in the March 2018 issue of ELLE Australia. In front of the lens of Darren McDonald, the blonde model poses in tomboy inspired looks. Stylist Rachel Wayman dresses Anna Mila in a mix of trousers, suiting and relaxed outerwear. The German beauty dons the designs of Stella McCartney, Max Mara, Celine and more.